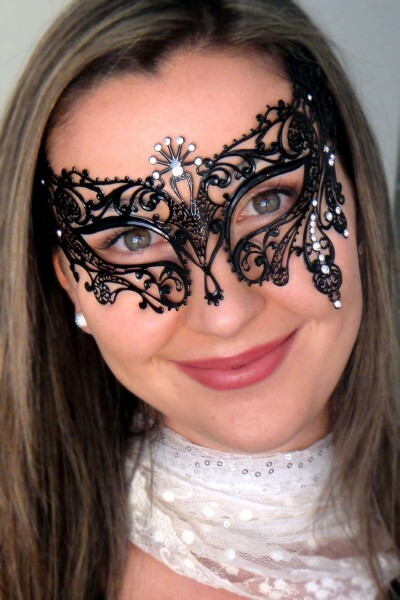 You will find this Black Masquerade Mask very flattering yet not over done as the crystals are good quality yet subtle. 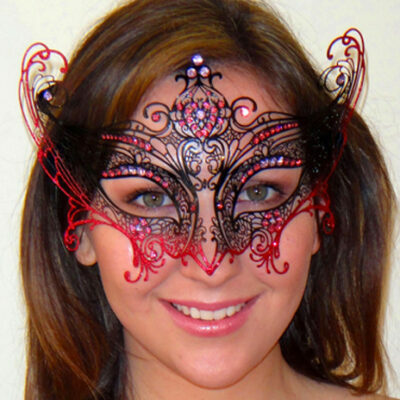 Exotic Black Mask secures to the face with Ribbon and is slightly flexible. 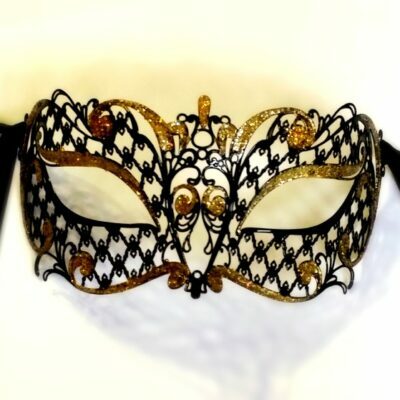 This Chinese made Masquerade Mask has been fashioned after the Italian made mask. 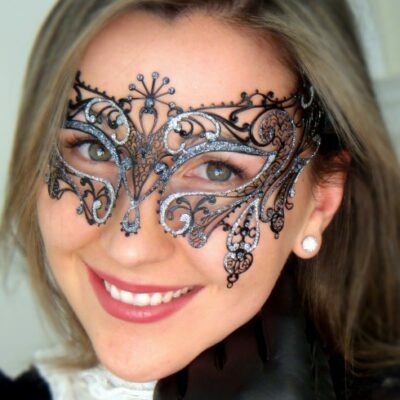 It looks very similar to the genuine Italian Mask however…. it is not identical. 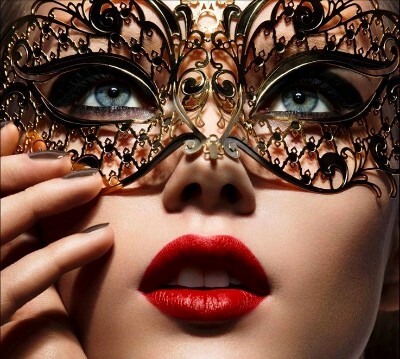 The Italian Made Exotic Mask is a better fit, contouring the face perfectly. It also is slightly finer which can be appreciated in the photos. If you are on a budget, I believe you will be happy with this Chinese version. 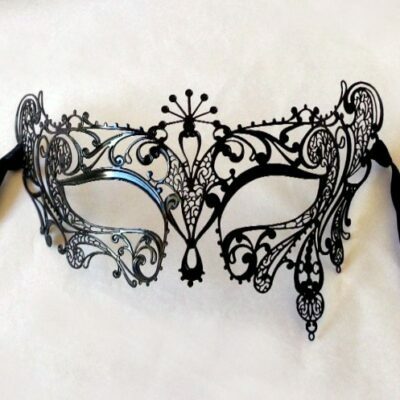 If however, if you are a perfectionist you would be wise to buy Masquerade Masks that have been made in Italy. They look great! 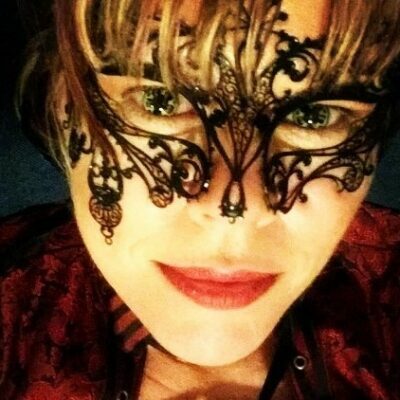 I received many compliments during our masquerade party. Thanks! 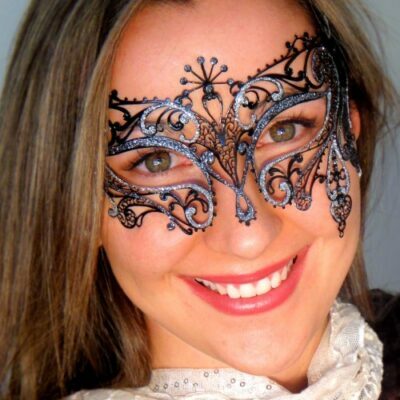 This mask was great! 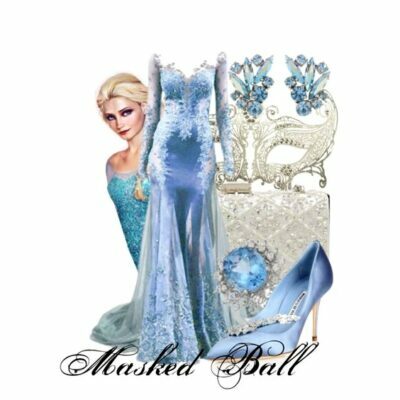 I received many compliments during our masquerade party. Thanks! 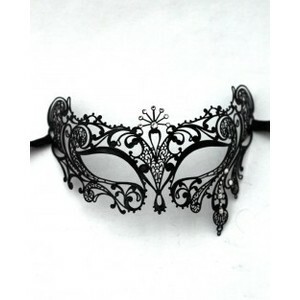 This mask was perfect! Thank you Mask Shop Australia.